Originally, Croatian Film Association (CFA) was an association of non-professional film groups operating in Croatia since 1928. Since 1992, the Association has been a member of the international organization of non-professional cinema (UNICA) and since 2005, a member of the International Federation of Film Associations as well. In 2000 the Association also started its own film production and distribution. In the past 14 years CFA has produced more than 100 short and 3 feature films. At the same time when amateur film movement was emerging, Maksimilijan Paspa founded the film section in the Photo Club Zagreb in 1928. Its members came mainly from the middle class as they could buy the equipment themselves. Croatia was a part of the Yugoslav Monarchy at the time (and before 1918 it was an autonomous part of Austro-Hungarian Monarchy). From 1931 on its members participate in international amateur film competitions, most notably in Paris in 1933 and in Barcelona in 1935 (when the founding congress of UNICA was held). In 1934 the film section organized the first national amateur film competition in Zagreb, and in 1935 an international event (I Panslavic Film Competition hosting amateurs from Czech and Poland). Well known members were Maksimilijan and Leon Paspa, Oktavijan Miletić, Zlatko Lippa, Aurel Gorjan, Tošo Dabac, Ljudevit Griesbach, M. Marković, Ljudevit Vidas, Oto Almasy, Dr Alfred Leitner, Viktor Czerny, Dr Žiga Spitzer, Franjo Schwarzwald, Ivan Paspa, Vladimir Cizelj, Đuro Vojvodić, Karlo Peharec, Ignjat Haberműller, Vladimir Cizelj and others. The film section became independent in 1935; it became an independent club (Film Club Zagreb) and it expanded its membership. Both the film section and later the film club organized occasional lectures on technical issues, new techniques and artistic issues. Its members occasional occasionally published texts on film in the Photo-Film Review and in other film magazines. Their work and successes were regularly covered by daily newspapers as important cultural work. The film club members participated in the Biennale of Cinematographic Art in Venice (Miletić, Paspa). In this period notable successes were achieved by Maksimilijan Paspa with his documentaries and experiments with colour and sound in film (awards in Amsterdam, London, Barcelona, Venice), and Oktavijan Miletić (mainly with feature films - Faust, Nocturno, Poslovi kozula Dorgena (Consul Dorgen’s Business) – awards in Berlin, Paris, Barcelona, Venice), who gradually became the most significant professional film author of Croatian Cinema after 1934 (Šešir (The Hat), 1937, Lisinski 1944.). During the Second World War (1941-1945) Croatia founded an independent collaboration state under Italian and German occupation and the film industry became state governed and promoted. More notable amateurs continued working during the war, many of them made professional documentaries and educational films and footage for war journals. Some of them secretly collaborated with the partisan movement. After the Second World War when the socialist Yugoslavia was established and when Croatia joined it, old amateur organizations ceased their activity. However, within the populist politics of the socialist regime which wanted badly to bring the "technique" closer to the everyman, film amateurism began to revive. First within the Croatian Photo Association and from 1963 in the independent organization - Croatian Film Association (from 1992 until 2011 Croatian Film Clubs' Association). In 1946 Photo and Film Club Rijeka was founded in Rijeka, in 1952 Film Club Split in Split, and in 1953 Film Club Zagreb was reestablished. The basic activity of these film clubs was the production of amateur films, but they regularly organized film courses for new members and the screenings of club films and discussions were held. Film Club Zagreb organized the first post war club festival in 1954 (I. Zagreb Amateur Film Festival). At the same time children film was beginning to develop (the first children film club was founded in 1955 by Ljerka Smrček in the Pioneer City in Zagreb). 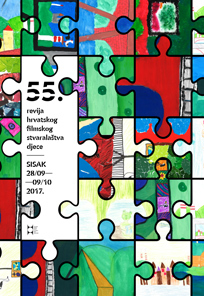 Children film clubs achieved extraordinary successes, and they became famous internationally (Slavica Pitomača from 1957, person in charge was Mirko Lauš; School of Animated Film – School of Animated Film Čakovec from 1975, the person in charge was Edo Lukman); around twenty children clubs was active in this period. Although the system of development of film amateurism was directed primarily at the development of massive technical and then film culture, in the '50s in Film Club Zagreb, and then in Split, Osijek and other places there emerged authors who dedicated themselves to the research of the media and the possibilities of their own research through film as an independent art form (Mihovil Pansini, Tomislav Gotovac, Vladimir Petek, Ivan Martinac, Tomislav Kobija, Ivo Lukas, Anđelko Habazin, Goran Švob and others). Film clubs became places which were joined by young people – numerous students – who wanted to engage in film art. End of the 1950s and the 1960s. By participating in artistic turbulence in the '50s when avant-gard tendencies emerged in other art forms, in the 1960s (1962-1963) the members of Film Club Zagreb formulated the term ‘anti-film’ and organized (biennale) experimental film festival named GEFF (Genre Film Festival) in Zagreb. There were four GEFFs: 1963 – Anti-film and new tendencies; 1965 – Research of film and research through film; 1967 – Cybernetics and esthetics; 1970 – Sexuality as a possible way into new humanism). A certain continuation of that were Z.A.G.F.I.D.A. 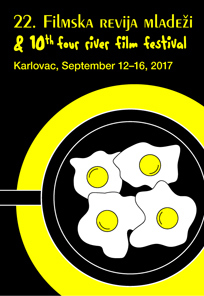 (Zagreb Film Days) and F.A.V.I.T. (Film,Aaudio-Visual Research, Television) in 1974 and 1979, also in Zagreb. This spirit reflected on the spread of film research in other larger centers in Croatia (Petar Trinajstić, Željko Luković in Rijeka, Ivan Faktor, Danijel Dozet in Osijek), but the most important center formed in Split (Ivan Martinac, Ranko Kursar, Vjekoslav Nakić, Andrija Pivčević, Ante Verzotti, Lordan Zafranović and others), where in 1977 an important manifestation was started – Alternative Film Congress – a festival which was held every year up to the mid 1980s. In the second half of the the 70s experimental films and research of the media were increasingly moving into the field of visual art and into the field of art galleries (Mladen Stilinović, Želimir Kipke, Ivan Ladislav Galeta, Ivan Faktor), and the contact with video (mainly in occasional workshops in Yugoslavia and abroad) from the first part of the 70s attracted individual artists who engaged in it temporarily as their permanent means of art expression (Goran Trbuljak, Braco Dimitrijević, Dalibor Martinis, Sanja Iveković, and in the 1980s Breda Beban and Hrvoje Horvatić too). Although film clubs were still active, their significance and influence decreased a little. End of the 1980s and the 1990s. At the end of the 1980s appeared a rather sudden turn of film technology into amateur video. Most of film clubs got new equipment, and a great number of works was filmed with it. In 1991 Croatia separated from Yugoslavia, which caused the war, the aggression of Yugoslav Army and Serbian forces on Croatia. Although post war situation became rather dificult, video art experienced a real revival in film clubs, but also in individual art work. Video art became the central field of research of young artists, they blured and moved the bounderies between non-professional and professional. Among young authors there were prominent Vladislav Knežević, Davor Mezak, Igor Kuduz, Simon B. Narath, Vlado Zrnić, Milan Bukovac, Kristijan Kožul, Zdravko Mustać, Marko Raos, Ana Šimičić and others. The characteristic of film and video work – particularly its artistically selfaware and avant-gard works – was its permanent opennes toward the world which was proved by many important manifestations where Croatian authors were extremely well noted (Experimental film exhibition in Lodz, 1978.; Third international avant-gard festival in National Film Theatre 1979; retrospective exhibitions of Ivan Martinac and Ivan Ladislav Galeta in the New York Millennium Workshop 1985; individual performances by Tomislav Gotovac in several cities in the USA 1991/1992 and 1994; the program of recent video production Reference to Difference 1995; retrospectives of Croatian experimental film and video in London, Oxford, Kopenhagen and Stuttgart 1996, and the latest exhibitions in New York and Rotterdam 1998). Mid 1990s and – 2000s. Reviving of amateur film making was reflected in increasingly richer programs of annual reviews, Croatia participating at international amateur film festival (UNICA), and participating of amateur film authors in the program of Croatian Film Days – the national festival of short and middle length film and video. Along with that, there was established a considerable number of festivals organized by film clubs: Croatian One Minute Film Festival in Požega 1993 (which turned into an international festival under auspeces of UNICA), International Festival of New Film and Video in Split (1996), One Take Film Festival in Zagreb (since 2003), and a considerable number of local festivals and reviews. These festivals have successfully gathered Croatian and international film and video avant-gard authors and in the best possible way connected Croatian media art with the contemporary movements in the world. During the 1990s and 2000s Croatia Film Association has gradually broadened its activities in relation to the club scene, but also in relation to the fields of film culture of which, upon the Croatian independence, nobody took care. The Association has gradually built up its technical equipment so it provided technical and professional services to film clubs and individuals who did not have appropriate equipment. Gradually the number of members increased, i.e. independent clubs which joined it upon their founding (presently there are 31 club), and particularly beneficial was the work with school film clubs, whose number in 2000 reached 180. It managed to include film in school curriculum and in 1999 it started the annual School of media culture, where the top film experts teach, and it is attended by film teachers. There they attend lectures on film and various workshops where future chairmen of school film clubs gain practical knowledge (workshops of animated film, documentary film, footage, editing, shooting, sound editing, script writing). The result of this school is evident in the sudde rise of school clubs and the quality of films produced in those clubs. The Association has started publishing activity – it publishes two professional magazines (Hrvatski filmski ljetopis (Croatian Film Review) and Zapis) as well as film books and a number of occasional publications. Also since 2001 the Association has started separate film screening programs in Zagreb, and in 2003 it got from the City of Zagreb a separate theater where are screened on daily bases valuable historical and non-American contemporary art films for free. 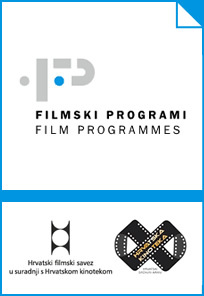 These programs are forwarded to oher centers in Croatia (Rijeka, Split, Šibenik, Osijek, Koprivnica...). In 2000 the Association also started its own film production and distribution primarily directed at experimental and short art feature film and documentary film. This activity has been conducted on the bases of annual programs submitted to the contests for grants provided by the Ministry of Culture of the Republic of Croatia, City of Zagreb and Ministry of Science, Education and Sport. Since 2005 the Associationa has been a mamber of the International Federation of Film Associations.